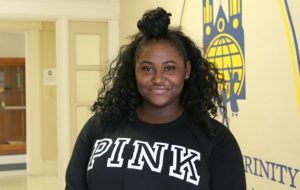 Aniya is an ACCESS graduate from Most Holy Trinity School & Academy currently attending Trinity Catholic High School, where she is active in the Diversity Club. She also enjoys interacting with younger students and has been involved with our ACCESS Give Back Work-Study program for the past two years. Aniya will be attending Fontbonne University in the fall and plans to take several finance and business courses.